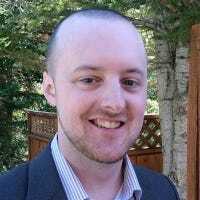 Most of the time, having your router assign dynamic IP addresses to your devices is fine. Sometimes, you want the additional control of assigning a static IP address that doesn’t change. 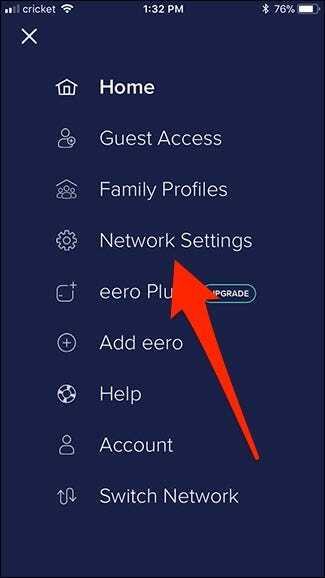 Here’s how to do it on the Eero router. 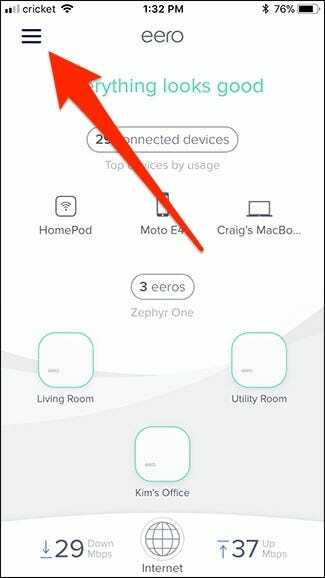 To get started, open up the Eero app on your phone and tap the menu button in the top-left corner of the screen. Tap the “Network Settings” option. Scroll down to the bottom of the page, and then tap the “Advanced Settings” category. 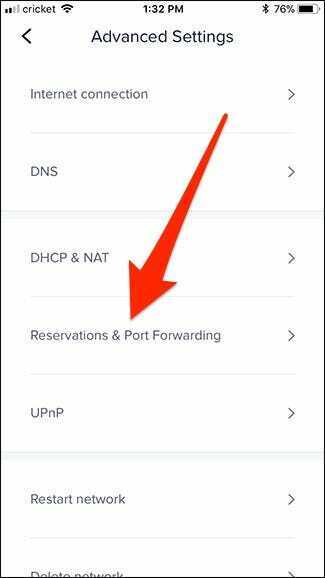 Tap the “Reservations & Port Forwarding” option. 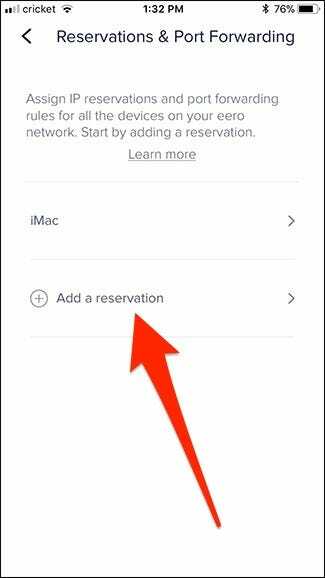 Select the “Add a Reservation” entry. The Select Device page shows all the devices connected to your router. 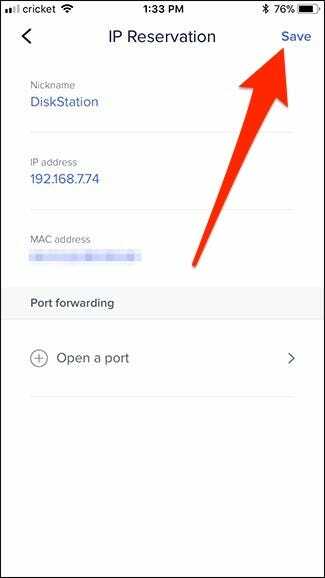 Tap the specific device for which you want to set up a static IP address. 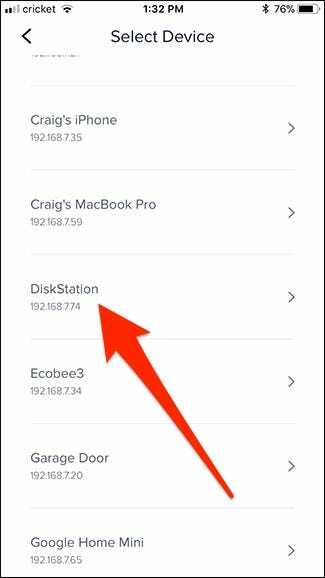 On the next screen, tap the IP address, and then type the address you want the device to have. Tap “Save” in top-right corner. 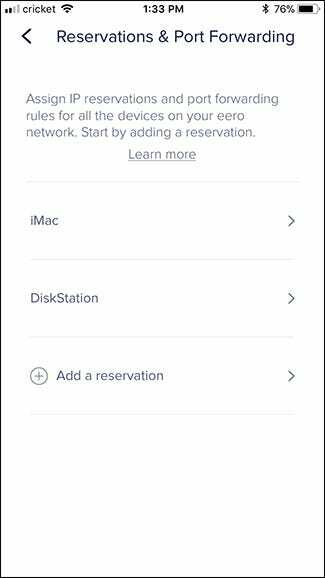 After that, the device you selected appears in the list of Reservations and you’re good to go. 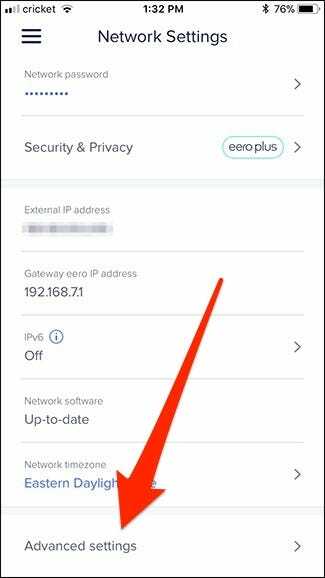 From now on, your Eero router will keep that IP address assigned to that device. 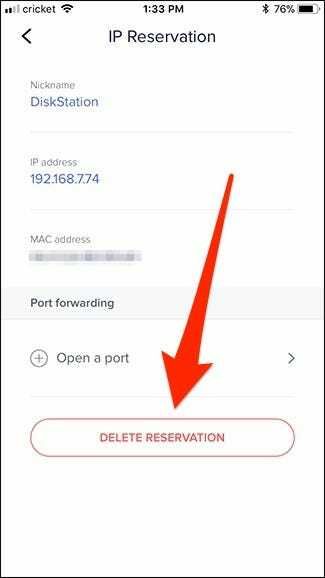 If you ever want to remove the static IP address and return to using a dynamic address for that device, head back to the Reservations & Port Forwarding page, tap the device, and then tap “Delete Reservation” at the bottom of the device’s IP Reservation page.